Beautiful & spacious apartment located in family house at mountains. Perfect cleanness, well equipped kitchen. Kind hosts, you are welcome to ask any question about their town and country. Recommend! Freundlicher Empfang, sehr sauber , alles klasse . Tiszta, szépen berendezett, kedves szállásadó, segítőkész, ház előtt a parkolás, gyönyörű kilátás. Boltok a közelben. otthonos. Nyugodt, csendes. Jól éreztük magunkat. 2 felnőtt és 2 gyerek. Nagyon jól felszerelt apartman, gyönyörű kilátással,nagyon kedves házigazdával. Doskonale wyposażony apartament. Niesamowity widok na morze. Het uitzicht over de baai is fantastisch. 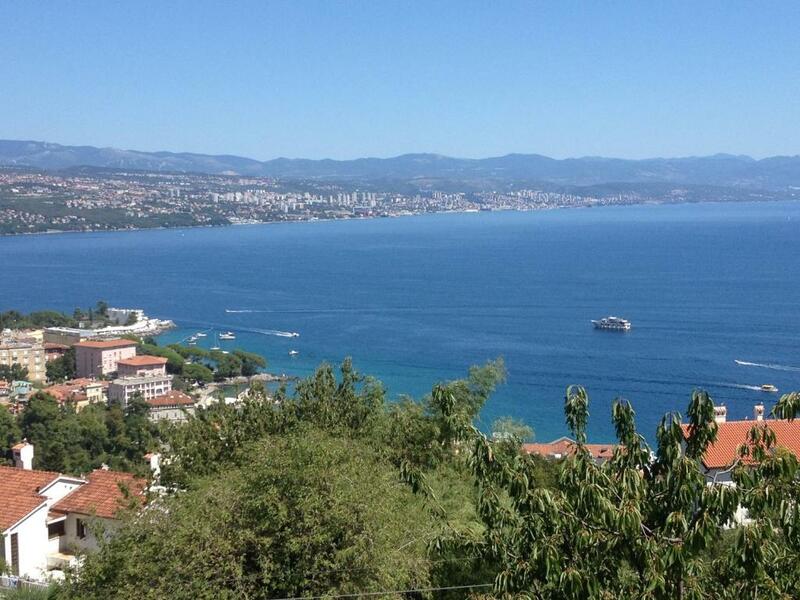 Rijeka in de verte en zelfs de eilanden Cres en Krk zijn zichtbaar. 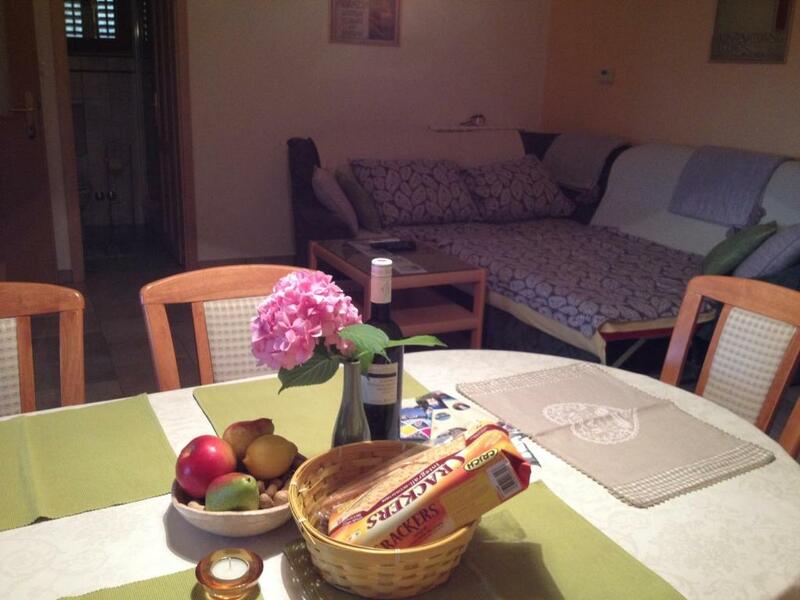 Lock in a great price for Apartment Inga – rated 9.6 by recent guests! Apartment Inga This rating is a reflection of how the property compares to the industry standard when it comes to price, facilities and services available. It's based on a self-evaluation by the property. Use this rating to help choose your stay! 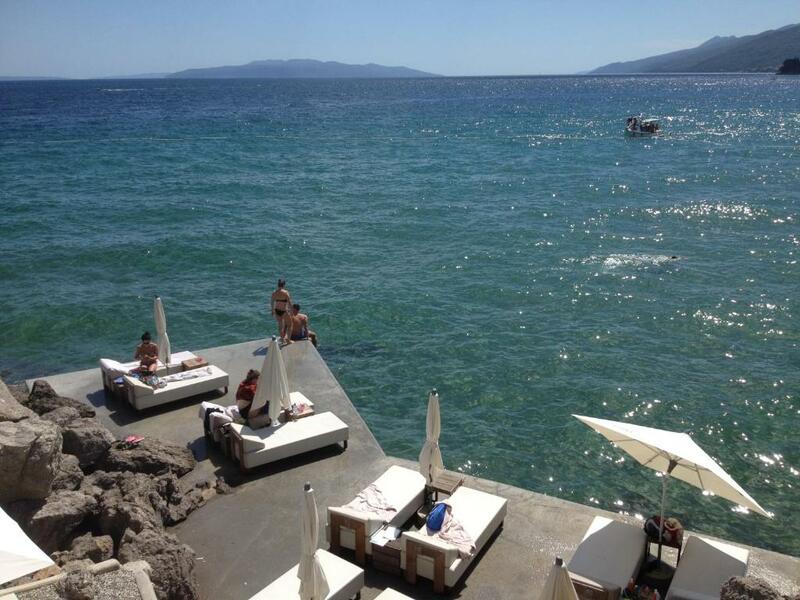 One of our best sellers in Opatija! 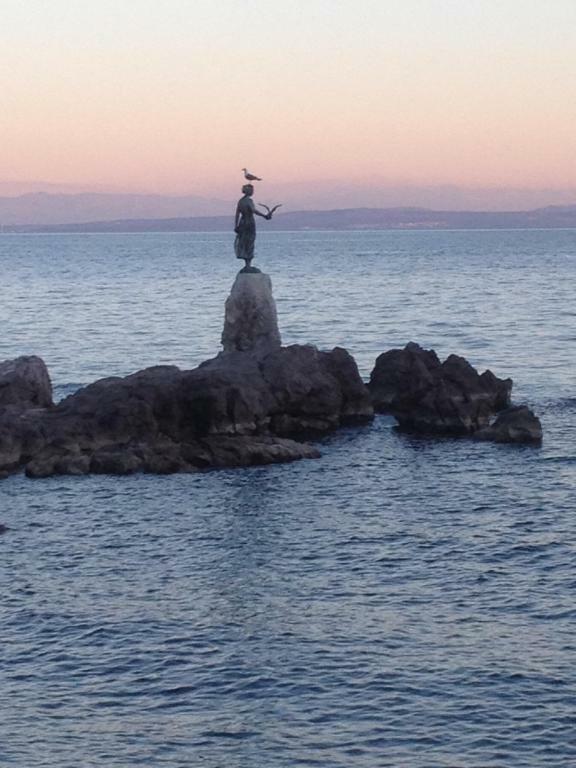 Apartment Inga offers accommodations in Opatija, an 18-minute walk from Croatian Walk of Fame and 0.9 miles from Slatina Beach. Guests staying at this apartment can use the free WiFi. This apartment comes with a living room and a fully equipped kitchen with a dishwasher. The apartment also has a seating area and a bathroom with a shower. Apartment Inga has a terrace. Popular points of interest near the accommodation include Opatija Bus Station, Church of the Annunciation and Maiden with the Seagull. 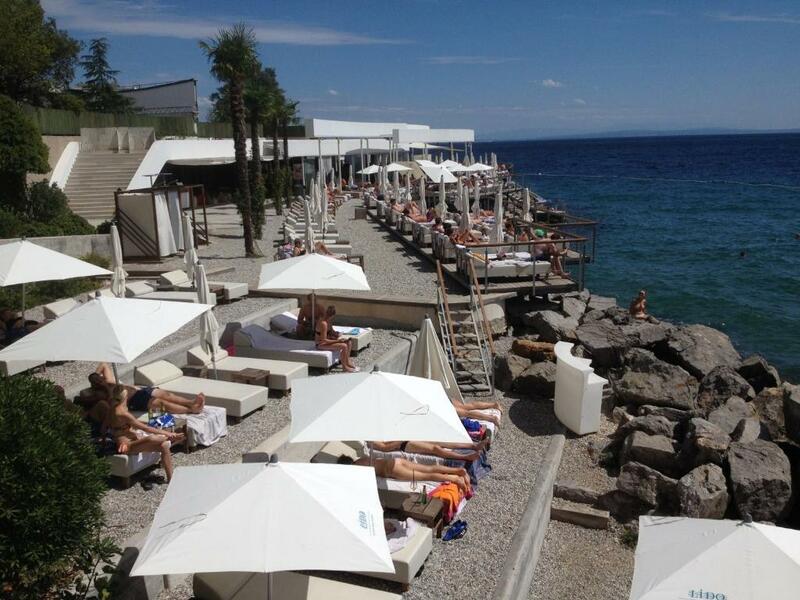 The nearest airport is Rijeka Airport, 27 miles from Apartment Inga. 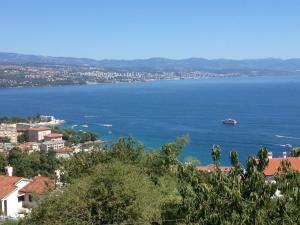 뀐 Located in the top-rated area in Opatija, this property has an excellent location score of 8.6! When would you like to stay at Apartment Inga? This apartment features a dining area, sea view and tile/marble floor. Spacious cosy apartment, sea view. 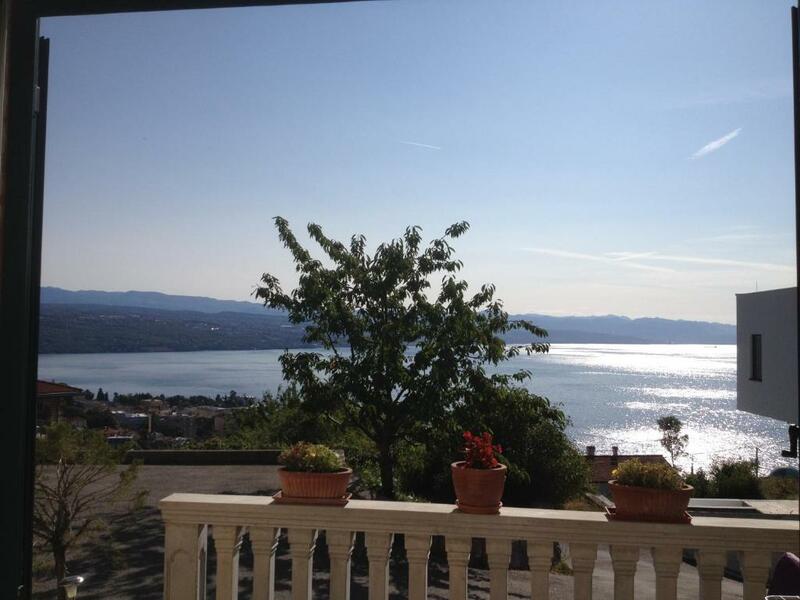 The apartment (2+2) is located on the ground floor of family house, about 15 min of walking distance from the city centre, the sea and the all facilities. There is a parking lot, a lovely terrase and a splendid view on the sea and a famous beach. The apartment has one bedroom with a double bed. There is a convertible sofa for another two people in the living room. 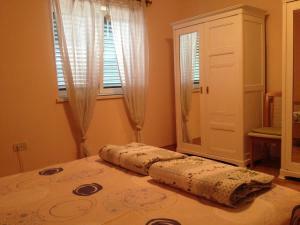 The apartment has a fully equipped kitchen with a dining room and a bathroom with a shower. The price of the apartment includes tv, air condition, central heating and Wifi. The pets are warmly welcomed with the supplement of 5, 00 EUR per night. The owners of the apartment live on the first floor. Hello! Our names are Ingrid and Marinko, we are your hosts. Ingrid is a teacher and Marinko is a luthier. We are also lovers of fine music, films, books and art. Marinko plays the guitar and Ingrid dances salsa a little bit. We would be glad if you choose our accommodation while visiting our lovely town. We hope you will feel like home and experience what we are very happy about - being born and living in this beautiful corner of the world. Welcome! Apart from Croatian, we speak English. Nearby there is a forest trail suitable for more relaxed walks or if you feel like jogging. There is also a marked walking trail for those who feel like hiking. 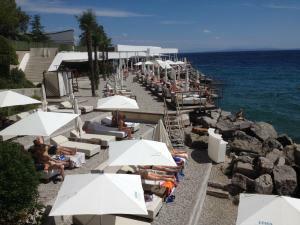 The promenade along the seafront stretches 12 kilometers along the coast connecting, two picturesque towns near Opatija, Volosko and Lovran. 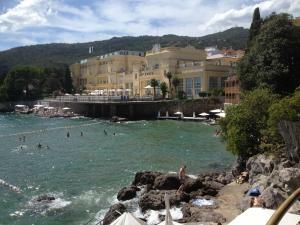 Opatija is a small town with breathtaking sights and lots of luxury but also affordable restaurants. The city's arhictecture with its beautiful and rich gardens remind us on its history when Opatija was a fashionable Austro-Hungarian tourist and health resort. The nearby hills of Ucka Mountain as well as the mountainous region of Gorski kotar, approximately within a 50 km drive from Opatija, are both simply ideal for all kinds of recreation activities in nature. The closest islands Krk and Cres as well as Istria are ideal for beautiful half day or one day exploring and enjoying the nature, gastronomic offers and panoramic views of old villages and towns full of historic charm and spirit. The closest airports are in Pula and on the island of Krk. House Rules Apartment Inga takes special requests – add in the next step! Please inform Apartment Inga of your expected arrival time in advance. You can use the Special Requests box when booking, or contact the property directly using the contact details in your confirmation.